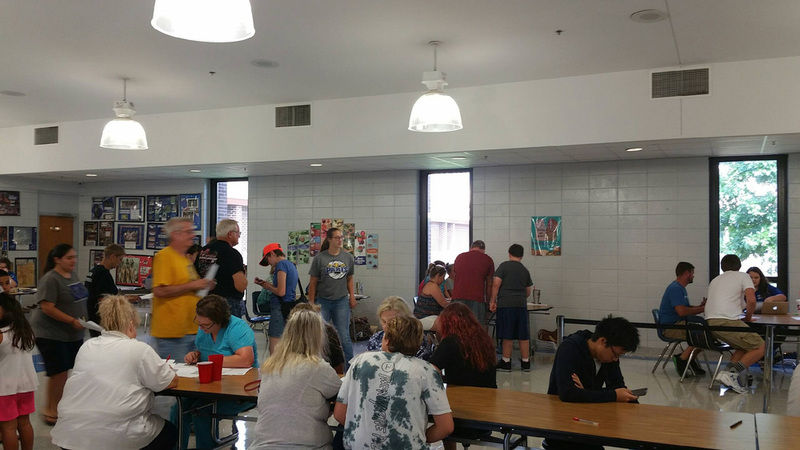 Paris School District held the 3rd annual Registration event on July 31st and August 1st at the Paris High School cafeteria for new and returning students to the district. Families had the opportunity to fill out "first day paperwork", register to win a $50 gift card, find out their homeroom teachers, pick up their schedules and more. Eighty percent of families attended the registration event. For those families unable to attend registration, they can pick up schedules and find out teacher information during the upcoming open house events. PHS open house is set for Tuesday, August 8th 5-7pm, PMS open house on Thursday, August 10th 4-6pm and PES open house on Thursday, August 10th 5-7 pm. The first day of classes for Paris School District will be Monday, August 14th. Thank you to everyone who attended and volunteered at the event!